How to find the best hostels in Rio de Janeiro for your trip There’s no place like Rio. With its magnificent landscapes, open-minded people and urban-beach lifestyle, the city has everything a backpacker has ever asked for – including the best hostels…. 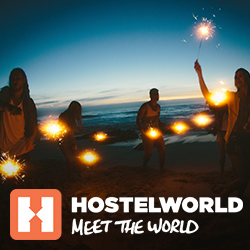 The post Best Hostels in Rio de Janeiro appeared first on Hostelworld Blog. The post 10 best hostels for solo female travellers 2019 appeared first on Hostelworld Blog. The post The best hostels in Koh Samui for every backpacker appeared first on Hostelworld Blog.